This is Temperance, better known as Tempie. 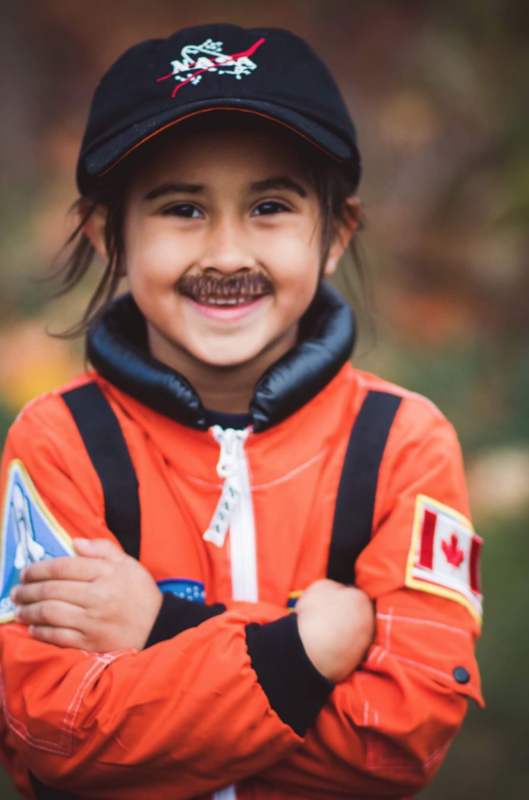 She's six, loves space, science, and dinosaurs, and spent Halloween as her hero, Canadian astronaut Chris Hadfield. Please just look at how perfect this is. She even had a lil' ukulele to complete the look. Tempie lives in Burlington, Ontario, with her mom Jennifer Figueiredo, who told BuzzFeed Canada that Tempie has loved Hadfield since she was just 18 months old. That's when she spent hours watching a video of Hadfield wringing out a wet washcloth in zero gravity. She decided over the summer she wanted to be Hadfield for Halloween. "She was so excited, this is all she’s been talking about for literally the last six months," said Figueiredo. Her mom used a NASA costume and added some Canadian patches and topped it all off with a hat and mustache. But the best part is that Hadfield himself retweeted the photos. "When he retweeted it, she was just like bouncing off the couch," said Figueiredo. "Like, 'oh my gosh, my hero saw it!'" The photos are now going viral, thanks to the Hadfield bump. And Tempie couldn't be happier. 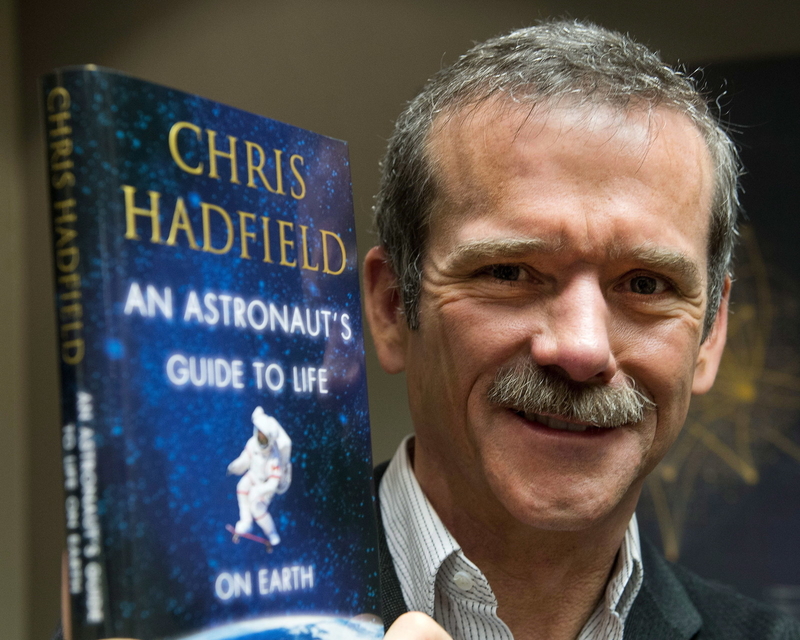 And she wasn't the only one who went as Hadfield for Halloween. Because what could be cooler than being Canada's coolest astronaut? why be just any old astronaut for Halloween when you can be @Cmdr_Hadfield?